Libraries have always been relevant in the process of provision of access to knowledge to the users, especially in the digital era. The purpose of Librarianship Studies & Information Technology is therefore to provide leadership for the development, promotion, and improvement of library and information services and the profession of librarianship in order to enhance learning and ensure access to information for all. Librarianship Studies & Information Technology blog is envisioned as the Britannica, The Huffington Post, Khan Academy, and more closely like the Encyclopedia of Library and Information Sciences; an authoritative source for consultation and reference for any library or information profession related issue and a treasure hub of knowledge on library and information science, which is open and free for all the library professionals worldwide. Librarianship Studies will be providing in-depth articles on Library Technical Processing and information access through the subject with special reference to the solutions to library cataloging, metadata, and classification problems using Resource Description and Access (RDA), Anglo-American Cataloguing Rules (AACR2), MARC21, Dewey Decimal Classification (DDC), Library of Congress Classification (LCC), Library of Congress Subject Headings (LCSH), FRBR, FRAD, FRSAD, BIBFRAME, etc. by use of tools such as RDA Toolkit, Classification Web, WebDewey, Classification & Shelflisting Manual (CSM), and Subject Headings Manual (SHM). Librarianship Studies & Information Technology blog articles are appreciated and referred by reputable corporate bodies such as University of Basel, Switzerland, University of Salamanca, Spain, Institut de l'information scientifique et technique (English: Institute of Scientific and Technical Information), French National Centre for Scientific Research, France, MERLOT - the Multimedia Educational Resource for Learning Online and Teaching, California, United States, Sage Library System, Oregon, United States, American Library Association, Agricultural Information Management Standards (AIMS), Food and Food and Agriculture Organization (FAO) of the United Nations, Italy. A search box is located in the column located at the right-hand side of the blog. Place your query here to search the contents of the blog. Librarianship Studies & Information Technology is divided into following broad categories (or labels). Categories are listed in the below-left side column of the blog. These categories or labels group blog posts on a specific topic of library & information science. 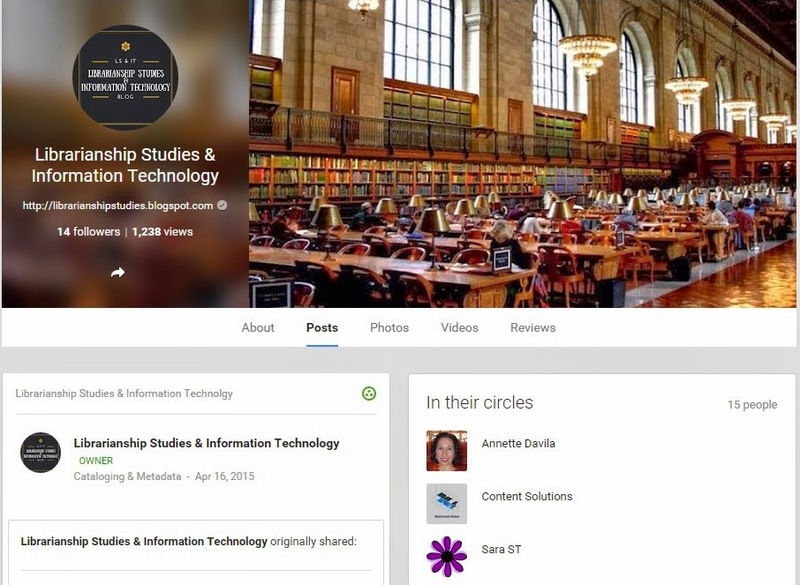 YouTube: Librarianship Studies & Information Technology on YouTube channel Librarianship Studies & Information Technology. This YouTube channel provides a wealth of information on library and information science in an interesting form of videos. 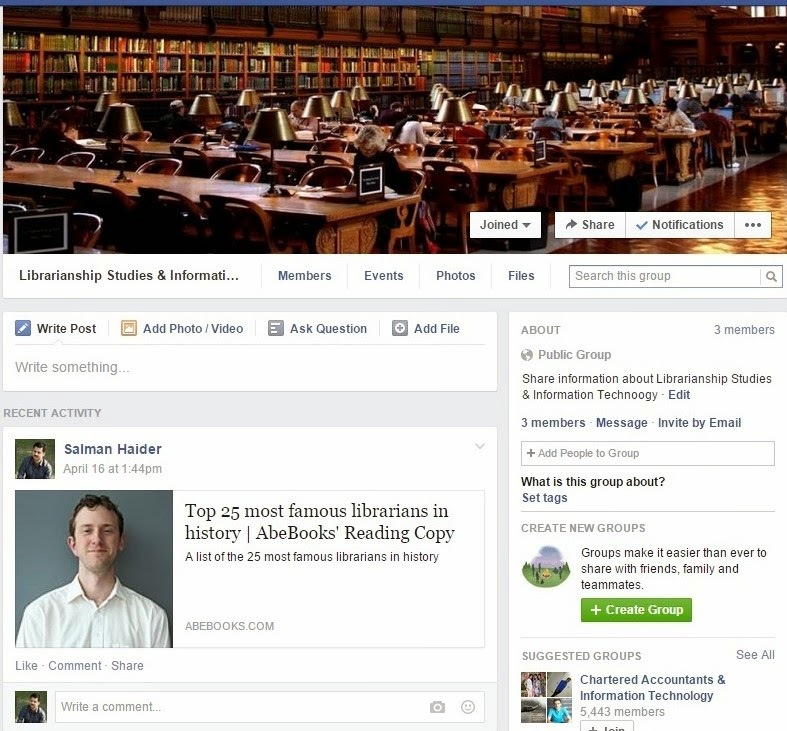 In this channel "Playlists" are created based on the "Categories (Labels)" of Librarianship Studies blog. For instance, biographies of famous librarians are placed in the Playlist "Librarians & Librarianship" which is also a named Category (Label) in the blog. 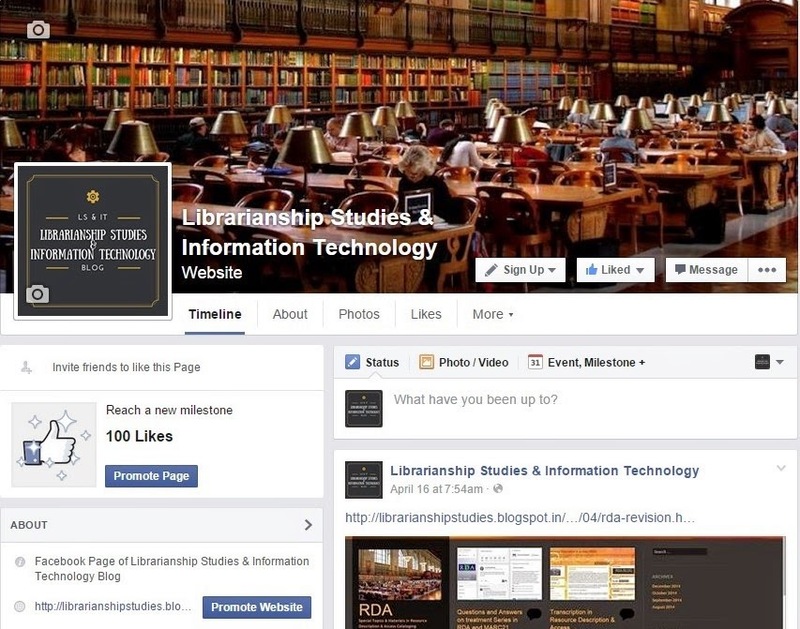 LinkedIn: Librarianship Studies & Information Technology on LinkedIn. On July 8, 2018, Librarianship Studies & Information Technology blog moved to a custom domain. 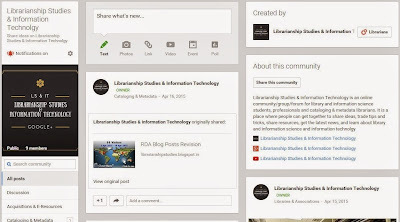 The previous URL of the blog was https://librarianshipstudies.blogspot.com which was then changed to www.librarianshipstudies.com. Please note that Librarianship Studies & Information Technology blog loads fastest and is best viewed in Google's Chrome web browser. Copyright ©2014-2018 Salman Haider. All rights reserved. Designed and developed by Salman Haider. This site may be freely linked to but not duplicated in any fashion without the consent of the creator. 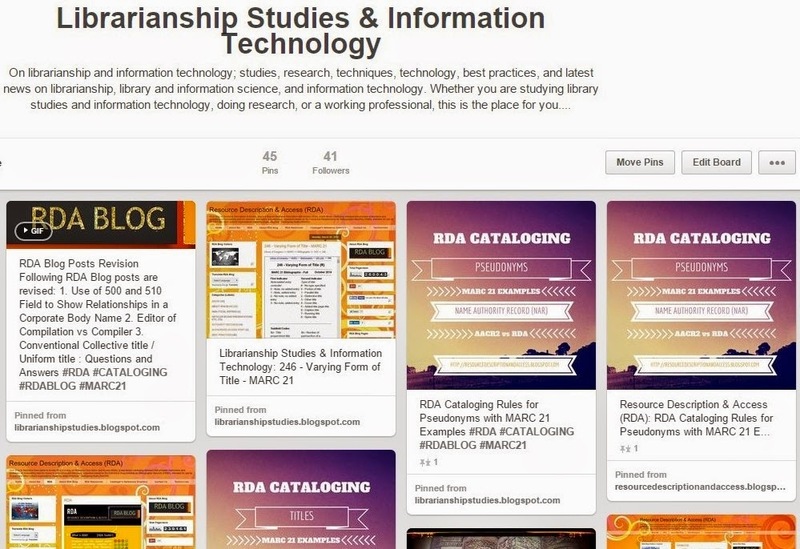 Librarianship Studies & Information Technology blog encourages the use of its material provided that it is acknowledged and kept informed in all such instances. Here is a description of feedback, testimonials, awards, and reviews of Librarianship Studies & Information Technology blog received from users all over the world. Some are summarized below, along with a discussion about and links to Librarianship Studies & Information Technology blog. 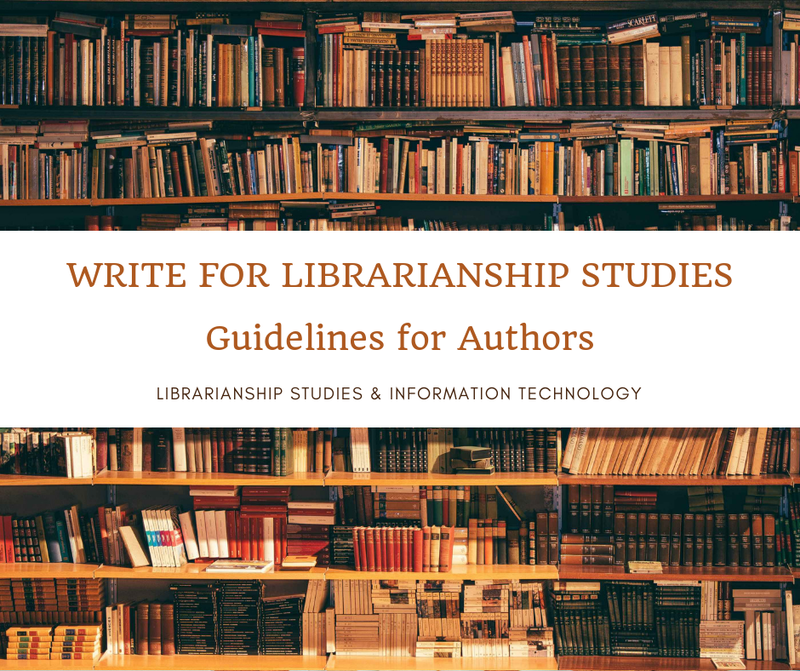 Please provide us your valuable feedback in the Guest Book on Contact Us page to make Librarianship Studies & Information Technology blog a better place for information on Library and Information Science and Information Technology related to libraries. Michael F. Bemis, Reference Librarian and Writer - Washington County Public Library, Woodbury, Minnesota, USA [May 2015, posted on Guest Book] -- I wanted to compliment you on your annotated bibliography entitled "Information Access Through the Subject." I recently became aware of your work through a notice on LinkedIn, of which I am a member. It is clear that you have put much time and effort into creating this well-researched document. I also would like to extend my congratulations on a very well designed and user-friendly website, namely, "Librarianship Studies & Information Technology." I discovered this site while searching for your previously mentioned bibliography. Ron Krate, Founding Head, International Professors Project, UN Visiting Scholar, Vermont, United States [December 25, 2015, e-mail and LinkedIn] -- Thanks for your many highly useful contributions Salman! 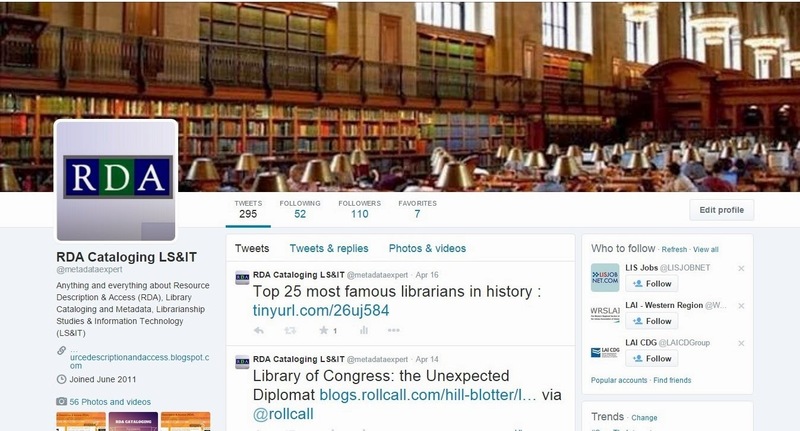 Sally C. Tseng, Former Librarian, University of California, Irvine United States [March 14, 2016, e-mail in AUTOCAT] Hello Salman, Thank you very much for sharing these informative links. Your time and hard work are a real contribution to librarianship! Sandra K. Roe, Librarian, Illinois State University, Editor, Cataloging & Classification Quarterly [July 17, 2016, e-mail for the article Library and Information Science Dissertations and Theses] -- Wow. This is an amazing compilation, complete with search instructions - and such a great idea to solicit other sources from the community. Brilliant! Jayaram Haravu (or L. J. Haravu), Managing Trustee at Kesavan Institute of Information and Knowledge Management (KIIKM) and Pioneer of Open Source Library Software movement in India, creator of NewGenLib (www.newgenlib.com) integrated library system, [April 3, 2017, E-mail in LIS-Forum, PCCLIST, AUTOCAT on article Library and Information Science Videos and Resource Description & Access (RDA) blog] -- I congratulate Salman Haider for bringing to our notice this excellent initiative. I am sure this will be an invaluable source to teachers and students of librarianship and information studies. I have been a silent observer and admirer of your commitment to de-mystifying RDA for several years now. What you are doing is most commendable. I wonder, though, how many have taken advantage of your knowledge. Deepshikha Sen, Research Scholar, India [May 5, 2017, posted in Guest Book] -- "Hello Sir, Wow...Yes, only this word is I left with to say about this blog. So enriched and updated. My search for an effective LIS blog came to an end through your blog. Hope I can clear my Net Exam this time with the help of your updates. Wish me luck! Anyways, Kudos to you sir for such an impressive blog. Prof. P. B. Mangla, Former Professor, University of Delhi, Department of Library and Information Science, Tagore National Fellow, Government of India, Unesco Consultant, and Vice- President, International Federation of Library Associations and Institutions (IFLA ; The Hague ; 1985-1991) -- You deserve all praise for the professional contributions you are making through this blog. Congratulations indeed. Dr. N. S. Harinarayana, Associate Professor, Department of Library and Information Science, University of Mysore, Mysore, India -- Congrats for publishing the glossary. The glossary, I hope, benefits the students, teachers, and researchers. Michael Bemis, MLIS -- When fully fleshed out, this lexicon will serve as a valuable tool for all LIS professionals, but especially for librarians in training and those new to the field. Scott Jones -- This is pretty cool. Wish something like this had existed a few years ago to help wrap my head around all the acronyms we had to learn in Library School. Jennifer Closson -- Very useful for those still in graduate school, thanks! Aslam Mehdi, Medical Librarian, AMU, India [2015-07] -- Very informative & nice blog. Salman, you have done magnificent work congratulations. Keep it up..
OCLC WebJunction -- The article Library and Information Science Videos Shared by Webjuction, a program of OCLC Research with following comments. Victoria Frâncu, Librarian at Central University Library of Bucharest, Bucharest, Romania [In LinkedIn Group - Information Science and LIS on the article Problems of Natural Language in Indexing, March 23, 2017] -- I really enjoyed reading this article which I find interesting and informative for the problems it presents. I particularly appreciated the way the syntax and semantic relationships are explained and illustrated. Roger Hawcroft, Library Consultant & Social Justice Activist, Queensland, Australia [October 4, 2015, posted in LinkedIn Group Collaborative Librarians International on Information Access Through The Subject] -- This is an excellent work with a relatively unique perpective. I am surprised it hasn't had greater attention and I would certainly recommend it to all those interested in the vagaries and complexities of achieving better access to materials than many traditional approaches have provided. N. V. Sathyanarayana, CMD, Informatics (India) Ltd., [March 18, 2016, LinkedIn Group Special Libraries Association] -- Congratulations! Salman for your valuable and painstaking compilation. I went through your blog. It is both fun and rewarding to browse. I enjoyed browsing through your blog assimilating interesting facts about the world of librarianship that is struggling to evolve as Information Science in a new and fast changing competitive world of ICT. Ravindra N. Sharma, Dean of Library (Retired), India [April 2018, On the article Library and Information Science History On This Day] -- Excellent summary of events in the history of the library and information science. Will be very helpful to all librarians and information science professionals interested in learning more about the profession and the Library of Congress. An article on Librarianship Studies & Information Technology blog, published in Technical Services Quarterly, a journal of library technical services published by Routledge (Taylor & Francis Online). Links & References in Websites, Blogs Etc. And many other online mailing lists, groups, forums, and communities. Top 50 Librarian and Library Blogs and Websites for Librarians are ranked based on following criteria: Google reputation and Google search ranking, Influence and popularity on Facebook, Twitter, and other social media sites, Quality and consistency of posts, Feedspot’s editorial team and expert review.